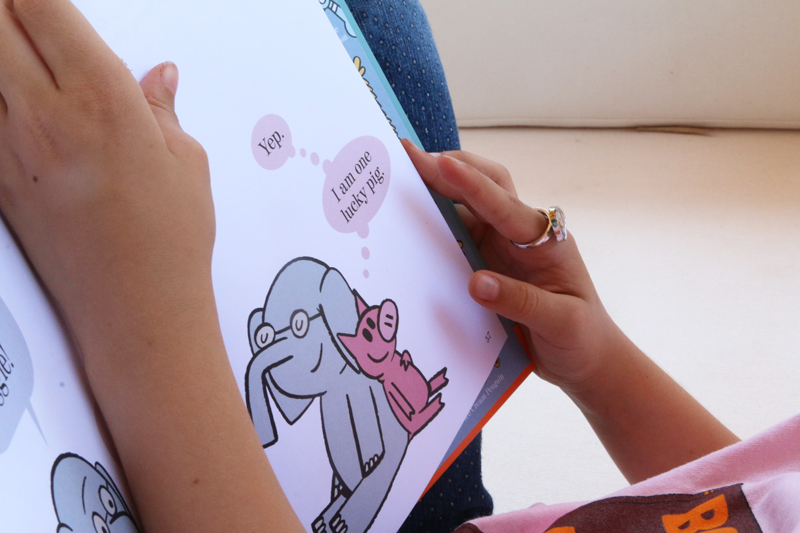 The Elephant and Piggie books by Mo Willems will always hold a warm place, and a silly place, in my heart. When Clare, my beautiful first born, was about to turn one, I asked Rick what the theme should be for her party. Without skipping a beat he said “birthday-themed.” And so I proceeded in a pre-DIY blog, pre-Pinterest world with creating a pretty dynamite birthday-themed birthday party. To this party, my friend Jaime brought her sweet brand new baby Scarlet and a beautiful gift. In that pretty package was a selection of new books for baby Clare including two books by Mo Willems, whom I had never heard of before. Can you remember a time when you hadn’t heard of Elephant and Piggie and Pigeon and Duckling and Knuffle Bunny and Trixie? On that day I read The Pigeon Finds a Hot Dog and There’s a Bird on Your Head for the first time. Since then we have spent so many nights sharing all of Mo Willem’s books, and passing them down from child to child, and also giving them as gifts to anyone we know who needs these beloved (and sometimes ornery) characters in their lives. 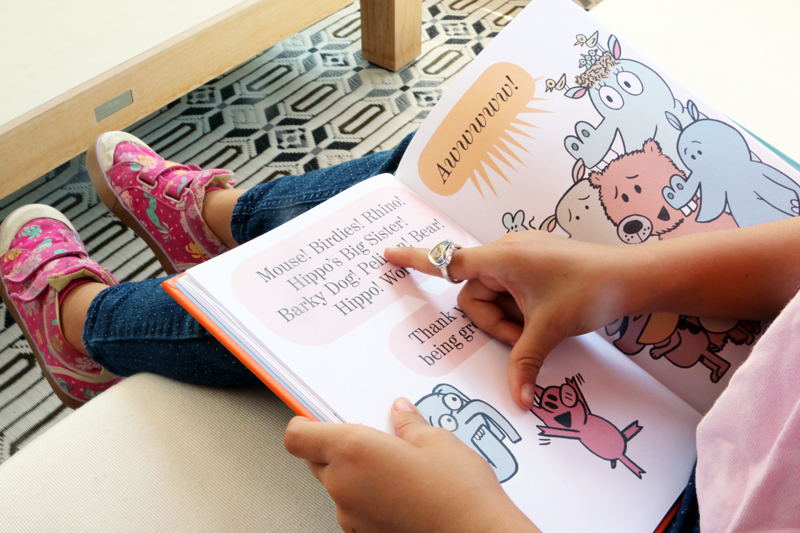 The time has now come for 25th and very last Elephant and Piggie book. 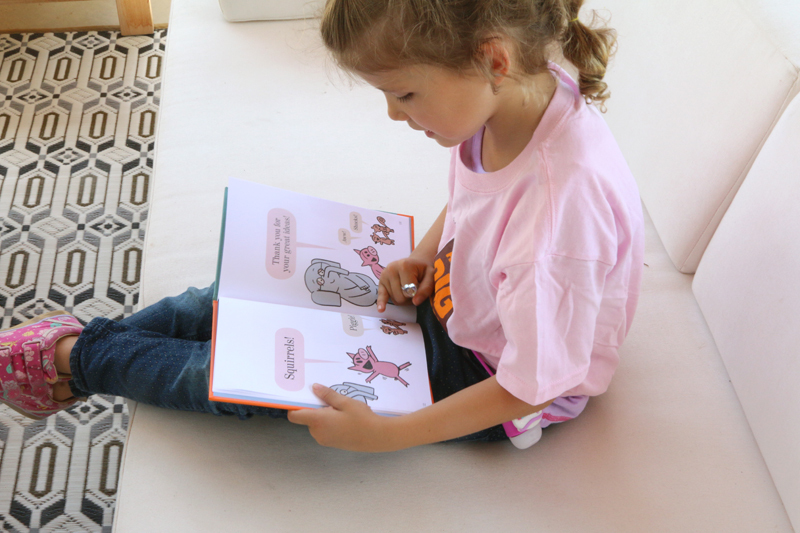 And while Elephant and Piggie are busy figuring out who they need to thank, I’d like to say #thankorama to Mo Willems himself for these funny, crazy, heart-warming characters who have played an important roll in my three children’s early years. This may be the last Elephant and Piggie book but we will be learning to read using the library of 25 published books for years to come. 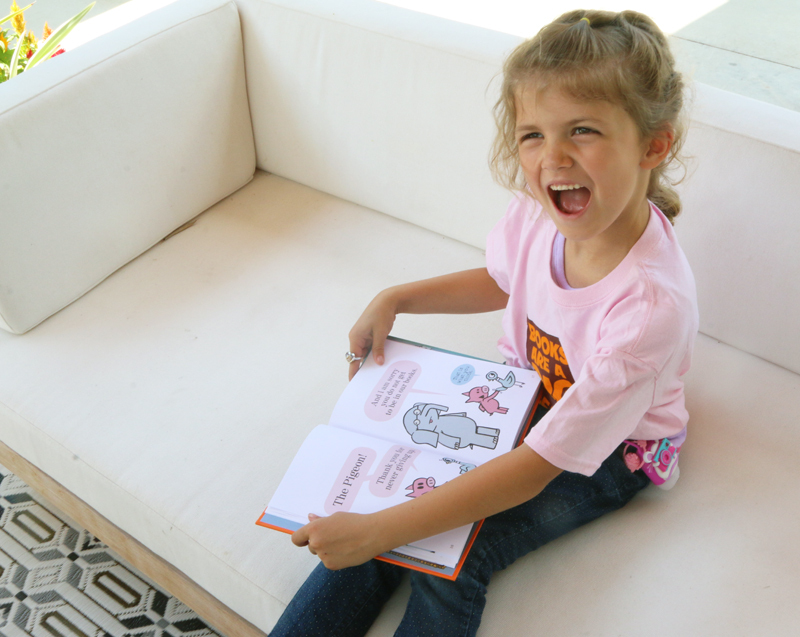 Visit ThankoRama.com for lots of free Mo Willems extras like downloads and videos. *Download and share a photo on social media using #Thankorama! 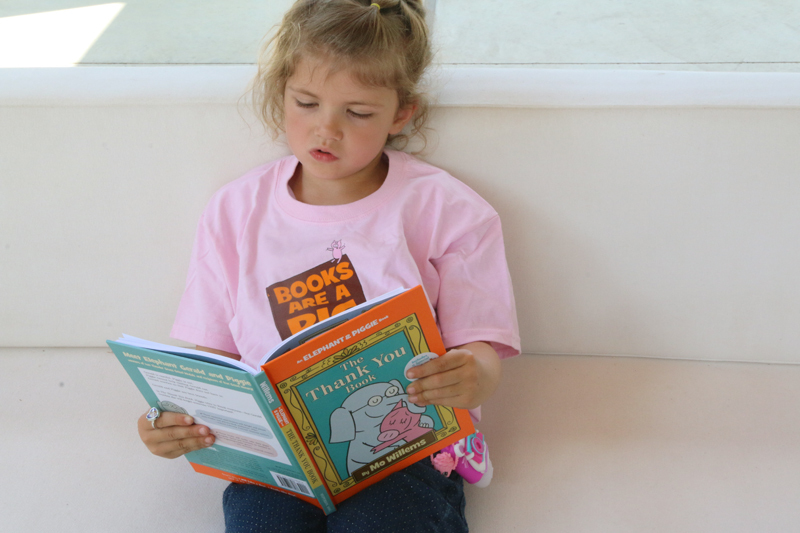 I keep trying to read your daughter’s t shirt behind the book, can you share it (and the source)?